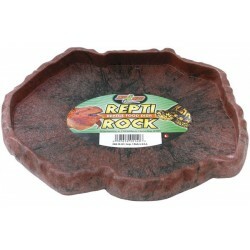 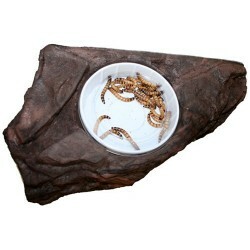 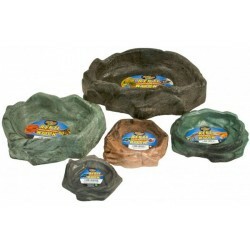 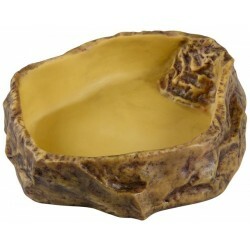 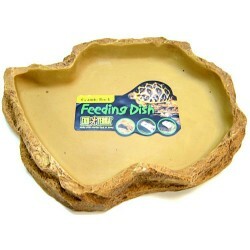 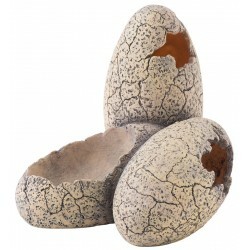 Wholesale Reptile Water Bowls & Food Dishes - The Serpentarium, Inc.
Exo Terra's Coconut Hide & Water Dish adds a tropical touch to your terrarium. 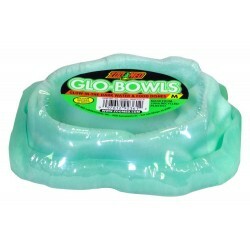 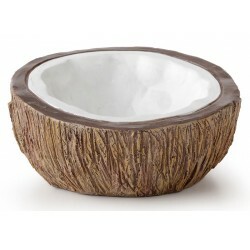 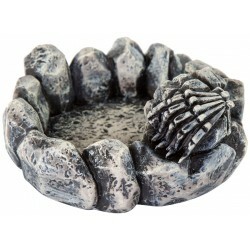 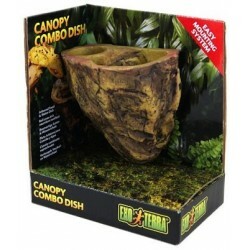 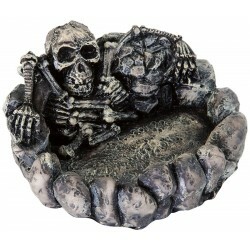 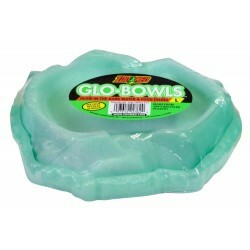 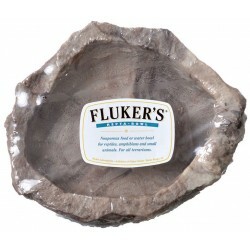 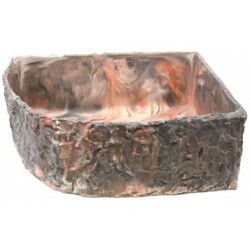 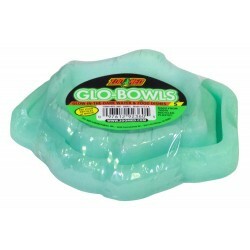 Size: Bowl - 4" x 2" / Hide - 4.5" x 5"
Exo Terra's Coconut Water Dish adds a tropical touch to your terrarium. 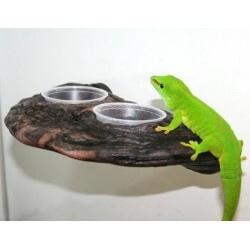 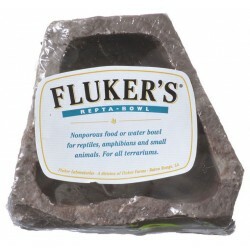 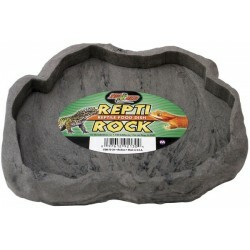 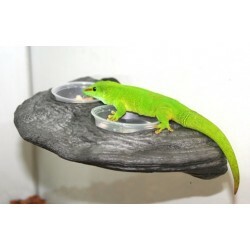 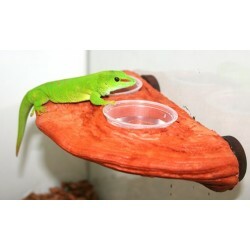 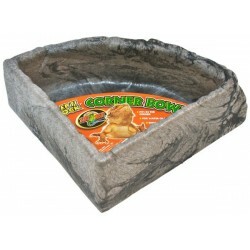 Size: 4" x 2"
Huge water bowl designed for large snakes, monitors & more! 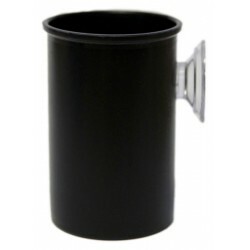 Holds up to 5 gallons! 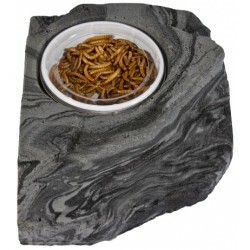 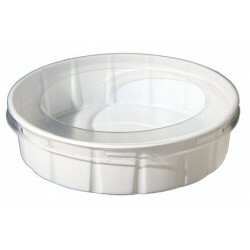 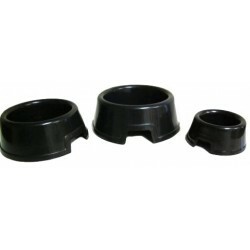 Size: 17.5" x 14.5" x 6.5"
The Exo Terra Food Cup Holder is for use with all Exo Terra Juvenile and Adult Cup Diet foods. 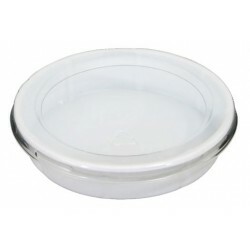 Place the holder in the front corner of the terrarium, peel the top off of an Exo Terra Cup Diet and place it in the holder. 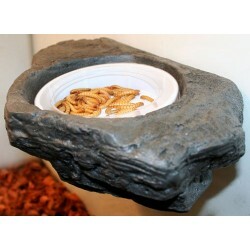 Black Film Canisters make the perfect hiding places for dart frogs. 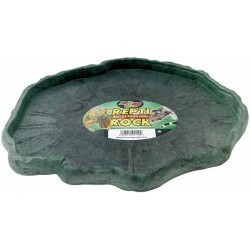 They also love using them for depositing eggs and or tadpoles as they mimic bromeliads and other water holding plants. 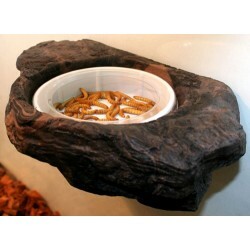 The added suction cup allows you to mount the canister to the wall of a glass terrarium at any height, which is great for climbing species. 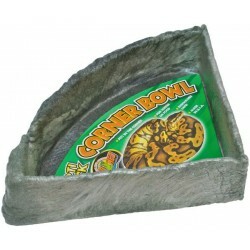 Water Bowl/Hide Combo! 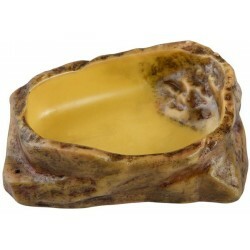 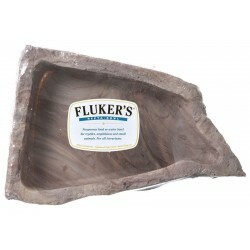 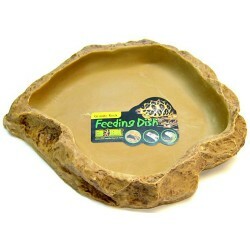 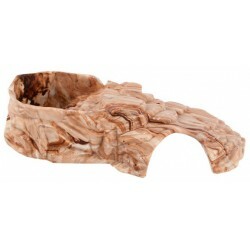 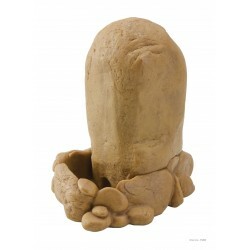 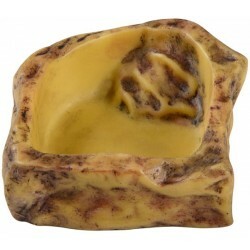 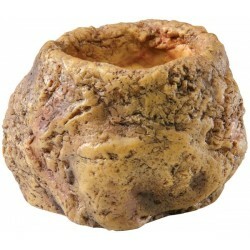 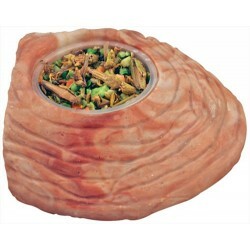 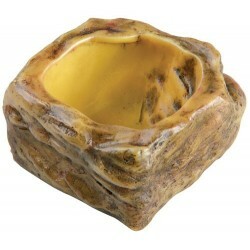 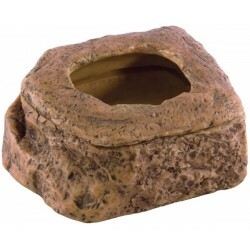 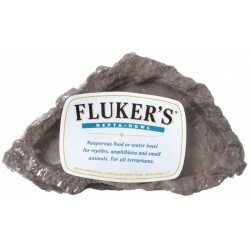 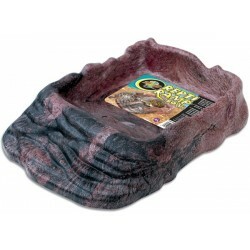 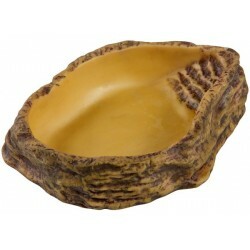 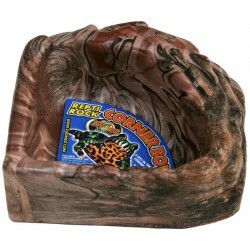 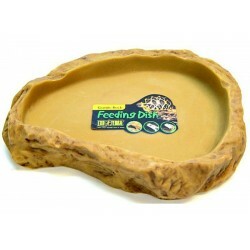 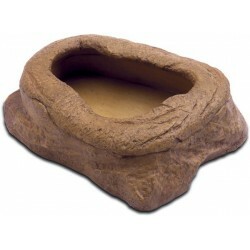 Perfect for breeder racks.Size: Large (7" x 2 1/2") Cave Opening: 2" x 1"
Water Bowl/Hide Combo! 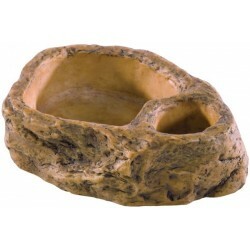 Perfect for breeder racks.Size: Medium (6" x 2 1/4") Cave Opening: 2" x 3/4"
Water Bowl/Hide Combo! 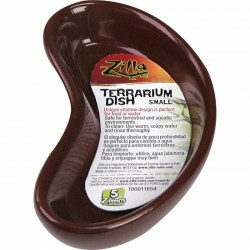 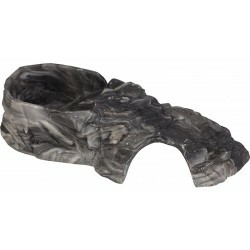 Perfect for breeder racks.Size: Small (4" x 1 3/4") Cave Opening: 1" x 3/4"
The Exo Terra Snake Bowl’s extra-deep design allows your snake to curl up in the bowl and fully submerge to soak up water. 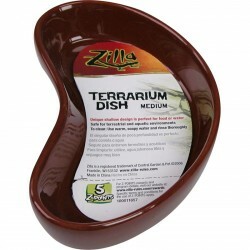 The shape of the Exo Terra Snake Bowl is especially designed to prevent it from being tipped over, and to avoid spilling water while bathing. 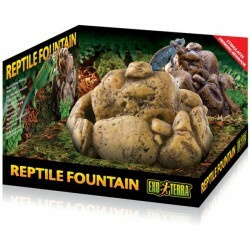 The Exo Terra Water Well provides reptiles and invertebrates with a constant source of clean, fresh water. 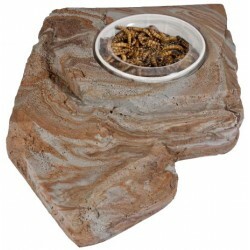 The small basin prevents the animals from fouling or spilling the water, while a screen prevents insects or smaller reptiles and amphibians from entering the reservoir. 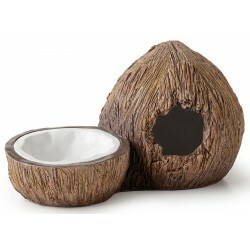 A natural coconut water bowl for your reptiles. 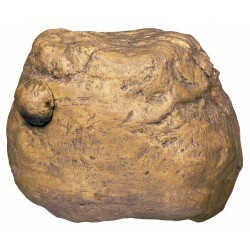 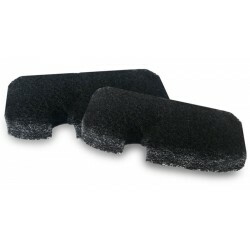 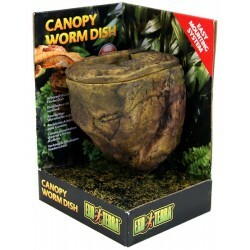 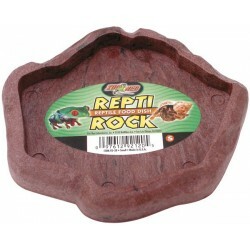 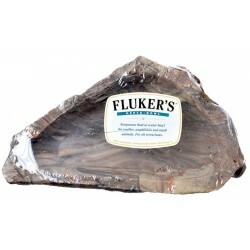 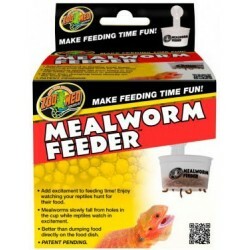 Makes a good addition to any living vivarium, particularly dart frog setups!